Add egg, combine well using a whisk. Add vanilla extract, butter and milk. Combine well using a whisk. Add orange zest, combine well. Heat a waffle maker, grease with non-stick cooking spray. Add 1 to 2 spoonful of batter. 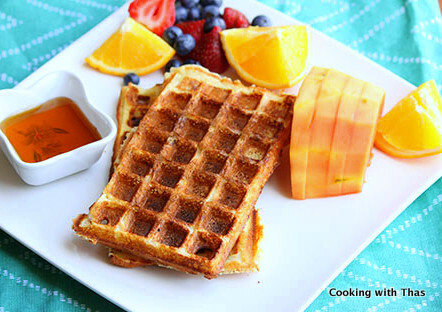 Cook till waffles turn golden and crispy. 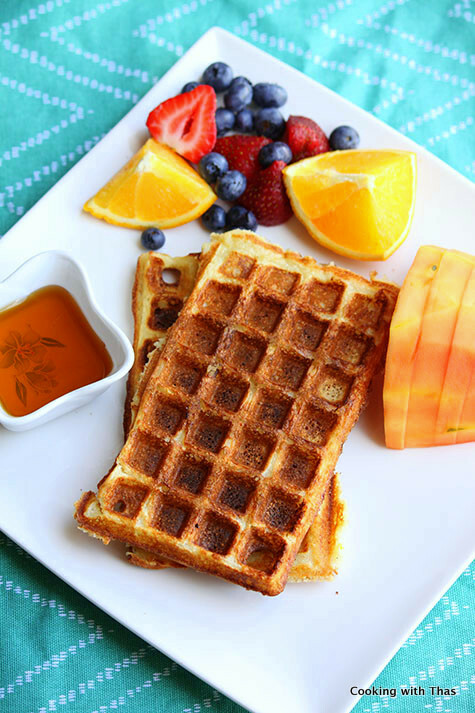 While serving, pour maple syrup or pancake syrup over the waffles. Enjoy along with fresh fruits and coffee.